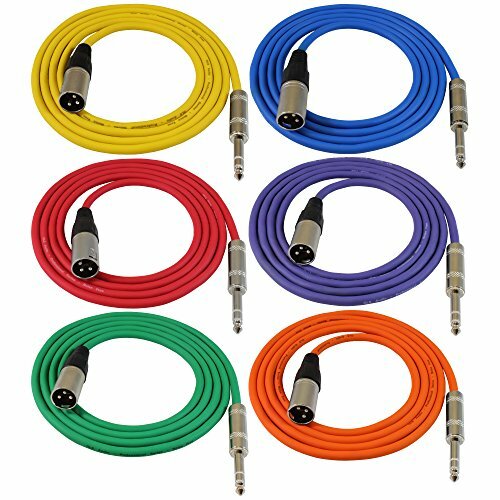 Professional Series Noise Free 6ft Patch Cables by GLS Audio. They have a thick, high quality, flexible rubber jacket. They have a 3 pin male XLR on one end and a 1/4" TRS on the other end. They are hand wired & hand soldered. The XLR has a double strain relief (internal Tri-GripTM and external rubber booty).